TRACY AMES Tracy is the founder of Maine Island Ecologists. She received her BS degree in Parks and Recreation with concentrations in horticulture and management from the University of Maine and has gained most of her experience over the past 20 years as an ecological researcher primarily in the studies of botany, ecology and seabird biology. 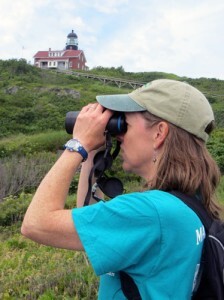 She has worked for organizations such as the U.S. Navy, USFWS (Moosehorn NWR, Maine Coastal Islands NWR), National Park Service (Channel Islands Nat’l Park, Acadia Nat’l Park, Cape Cod Nat’l Seashore), Santa Barbara Botanical Society, NOAA, National Audubon Society as well as other state and private agencies. Research projects conducted by Tracy include native and invasive plant monitoring studies, rare plant mapping and weed eradication projects, seabird monitoring studies, small mammal research, pinneped research and other ornithological studies as well as overseeing 20+ volunteers at a time. She also has owned and operated a landscape design and management business for 10+ years that included projects such as developing a landscape master plan for a newly established recreation area in the town of Limington, Maine. She and her husband operated a CSA/CSF (Community Supported Agriculture and Fishery), Maine’s first combination community supported business from their organic farm in Sabattus, Maine. They currently reside on Chebeague Island with their two daughters. KRISTIN PENNOCK Kristin has a BS in Wildlife Management from the University of Maine. She has over 20 years of experience identifying birds by sight and sound primarily from working as a seabird biologist for the National Audubon Society off the coast of Maine where she conducted and supervised studies in harsh environments on remote coastal islands. Kristin believes in the importance of citizen science projects. Since 1998 she has conducted high elevation bird surveys every summer for the Vermont Center of Ecostudies Mountain Birdwatch Program which monitors terrestrial birds in the high elevation montane forests in northern New England and New York. She currently serves on the board of the Mid-Coast Audubon Society. 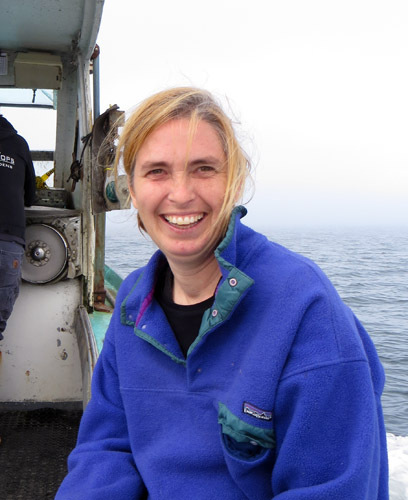 Kristin has been employed since 2002 by the Sheepscot Valley Conservation Association – now Midcoast Conservancy – as the Finance and Office Manager. In addition to finances, she maintains the membership database, helps with special events as well as overseeing some volunteers. She is presently an associate of Maine Island Ecologists. She lives with her family along the Sheepscot River in Whitefield, Maine.